When people meet the real Jesus in Scripture, lives change, hearts heal, and the grace and power of our baptism is unleashed to make us "ambassadors for Christ" (2 Corinthians 5:20). When people "chew" on the word of God through dynamic discussions of the Scriptures, the Holy Spirit reveals the person of Jesus. 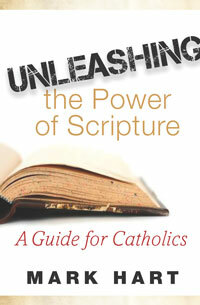 That's why the staff of The Evangelical Catholic ministry created this guide—to encourage everyone, no matter where they are in their spiritual life, to have a personal encounter with Jesus. 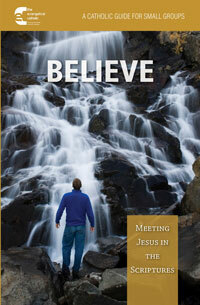 The six sessions in Believe: Meeting Jesus in the Scriptures focus on episodes when Jesus changed people's lives. The questions that follow are designed to spark discussion and allow each person to consider how the story applies to his or her own life. Weekly spiritual exercises between sessions help participants meet Christ in both prayer and the sacraments. Also included are detailed "how-to" guides for both facilitators and participants. "One of the most important aspects of forming people in their faith is figuring out how to actually engage their minds to think about the meaning and implications of Scripture so they can act upon it. 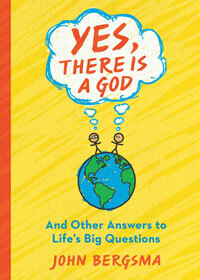 The authors of Believe have figured it out. They ask perceptive questions that draw people into active consideration of the passage and encourage discussion. 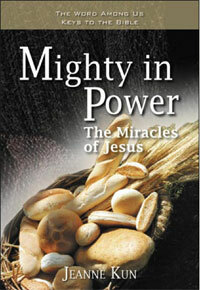 This guide will lead many people to become more committed to living their lives in and for Jesus."